Vlad Țepeș of the House of Drăculești (AKA Vlad the Impaler, AKA Count Dracula, AKA Mr De Ville, AKA The Caped Crusader) is arguably the world’s most famous vampire and had a profound affect on both human and vampire history.A true polymath who lived many lives, Dracula was at various times a soldier, statesman, prince, real estate developer, film director and civil rights campaigner, as well as one of the most powerful vampires to have ever existed.The extraordinary life of Vlad Dracula began in 1428 during a time of great upheaval and bloodshed. The second son of Wallachian ruler Vlad Dracul, as a teenager Vlad and his brother Radu were held as hostages of the Ottoman Empire in the fortress of Eğrigöz to secure their father’s loyalty.Whilst he was imprisoned Dracula’s father and eldest brother were murdered by Wallachian boyars and following Dracula’s return from exile he quickly and ruthlessly set about reclaiming the throne and taking revenge on those who murdered his family. Dracula’s revenge was swift and brutal: thousands of boyars were impaled on wooden spikes, and when Dracula heard the Transylvanian Saxons were defying him he inflicted the same carnage on them, impaling men, women and children. Following his years of imprisonment and the murder of his family Dracula had come to believe that strength was all that mattered and his reign became increasingly brutal. Dracula would punish perceived slights or disloyalty with torture and mass executions, growing ever more cruel and arrogant. When the Ottoman Sultan Mehmed II demanded one thousand Transylvanian boys be given up to be raised as Janissaries Dracula refused. When the Ottomans came to take the children of Transylvania Dracula slaughtered the soldiers to a man and then marched upon the Ottoman stronghold of Giurgiu, using his fluent Turkish and knowledge gained during his imprisonment to trick his way inside the fortress. Mehmed II led an army of 150,000 against Wallachia to punish Dracula for his rebellion however Dracula continued to defy the sultan, adopting a scorched earth policy as his army fell back and personally breaking into the Ottoman camp in an attempt to capture or kill the sultan. The sultan managed to escape but Dracula left a forest of impaled corpses as a horrific warning to any who would make war open him. However in 1462 Dracula was betrayed by his brother Radu, captured and taken to Constantinople. The betrayal by his brother filled Dracula with rage and he spent the time of his imprisonment plotting bloody revenge against all who had wronged him. Whilst imprisoned Dracula befriended a fellow prisoner of the Ottomans by the name of Esteban Corazon de Ablo. Dracula learnt all he could from his cellmate about alchemy and magic, desperate to find a way of gaining the power to take vengeance against those who wronged him. Against his better judgement the learned Esteban Corazon de Ablo revealed the secret of vampirism to Dracula, teaching him how dark primeval forces could be summoned but cautioning him that such forces were not to be toyed with. Despite Esteban’s warnings Dracula became obsessed with the idea of harnessing such dark power and mounted a daring prison escape, fleeing Constantinople for the Carpathian mountains. Dracula travelled high into the mountains, braving hunger and storms to carry out the ritual he had learnt of from Esteban. In a lonely desolate cave Dracula completed the blood sacrifice required to summon a radiant being, older than fire and more powerful than empires. Dracula opened up an artery to summon the being and as his life drained away in that lonely cave Dracula held aloft a chalice of his own blood, and looking up laid eyes upon Her. Lilith. Babylonian demon, first wife of Adam, transcended C’tan, mother of the fae, goddess of night, stood over Dracula and the cup he offered. When she spoke he voice was as dessicated as parchment and as loving as a mother’s. Lilith, progenitor of the undead, took Dracula by the hand. As she said this Lilith opened one of her own ancient veins and allowed Dracula to drink of her immortal blood. Life left Dracula’s body and in the moments before death overtook him Dracula’s life flashed before his eyes. Dracula saw the face of every man, woman and child he had slain, every hateful, cruel or selfish act he had ever committed. But more than that he saw the lives of every person he had ever killed, experienced their pain, and the lives of every person who had ever wronged him, seeing himself through their eyes. In the final moment before he died Dracula began to see every human thread, the lives of everyone who had ever existed or ever would exist, to perceive how they interconnected, how all suffered, how all longed, seeing the whole of existence As criss-crossing rivulets of blood, joining to form one gushing torrent, and his own place within the flow of blood and history. Dracula lay dead in that cave for three days and three nights. When he rose on that third night Dracula returned as a son of the C’tan, a vampire with a vampire’s thirst for blood but free from his thirst for revenge. Dracula retreated to his castle in shame and horror, changed by death, he now saw what a cruel little man he had been, and began to realise that blood would only ever begat blood. Dracula’s transformation was sealed when he learned that his brother Radu had died shortly after Dracula’s escape; he had been plotting to kill his last living relative when the man was already on his death bed and would now never have the chance to make peace. Resolving to forsake vengeance and blood-spilling Dracula survived by feeding on a small retinue of loyal servants, hiding in his dark castle from the light of the sun and his former fame. Yet around Dracula blood continued to be spilled as the Ottomans and Wallachians fought. Hoping to redeem himself Dracula disguised himself under a heavy dark cloak and begun stalking the night, protecting the weak and innocent from the ravages of war, whether they be Christian or Turk. It was during this time that Dracula first met fellow Romanian vampire Count Orlok. Dracula yearned to learn more about his own kind and sought out the reclusive elder vampire. Dracula was keen to learn more about the nature of vampires and the isolated and deformed Orlok was gratified to have the company. The two soon became firm friends and it was through their discussions together that Dracula began to form his political ideas about Vampire Emancipation and his dream of all nations, creeds and species living alongside each other openly. The elder Orlok was skeptical about the prospects of vampires and humans living in peace, pointing out that whilst he and Dracula may have forsworn taking blood by force most vampires continued to act as ruthless predators, and most living men would burn them on sight. From these debates Dracula realised that he needed to spread the way of peace and self-control amongst his vampire brothers, and he began travelling Europe seeking out his brothers and sisters in darkness, preaching the idea of peaceful coexistence amongst the undead, developing a following and collecting acolytes derisively referred to as “the Brides of Dracula” amongst the rest of the vampire community. Yet as Dracula grew in knowledge, power and influence more and more vampires took him seriously and over the following centuries Dracula’s “brides” continued to grow in number, transforming from a small group of idealists into an army sworn to protect dead and undead alike. By the mid seventeenth century followers of Dracula made up most of europe’s vampires with those who chose to hunt and kill the living now becoming the minority. Now Dracula journeyed beyond the shores of Europe, travelling the world in a ship-hold packed with gravedirt, spreading his message of peace to vampires everywhere and freeing non-humans wherever they were subjugated. In Arabia, Dracula led the djinn to rise up against centuries of enslavement by the Alāʼ ad-Dīn Caliphate. In Sweden, Dracula created the first troll refuge. In the Caribbean, Dracula defeated the evil sorcerer Prospero and saved Ariel and Caliban from slavery. In Salem, Dracula rescued witches from the pyre. In Germany, Dracula helped Frankenstein face down a lynch mob. And in the South Pacific, Dracula attempted to free the C’tan Cthulu from his underwater prison of R’lyeh. Dracula’s exploits did not only make him famous amongst vampires. Dracula’s legend began to grow amongst humans and Dracula realised that the time had come to step out of the shadows. Dracula had spent centuries living under aliases, hiding his origins, remaining a mysterious dark figure to humans. But now he believed the time was right to lift the veil. In 1889 Dracula sold his ancestral castle through an agent and travelled to England with his most trusted acolyte Mina Murray aboard the ship Demeter. Dracula arrived at the heart of the greatest power on earth, and began to court Victorian society. Dracula used his immense charisma and the fortune acquired over several life times to charm the great and the good, buying fifty London properties and throwing lavish parties. Dracula was even received by Queen Victoria, charming the widowed queen, and became famed across the country not only as a great wit but as a great humanitarian, campaigning for suffrage, relief for the poor, the rights of gypsies, and reform of asylums, earning himself the nickname of “The Caped Crusader”. Dracula was particularly lauded for his campaigns on behalf of the mentally ill and reform of the Victorian asylums, famously exposing the cruel experiments of the famed psychiatrist Dr Seward and personally rehabilitating a patient by the name of Renfield. Then, at the height of his fame, Dracula dropped his bombshell. In 1890 Dracula publicly revealed himself to be a vampire. Victorian society erupted in shock, outrage and debate. In the aftermath of Dracula’s revelation many of his followers followed suite and a number of prominent individuals “came out” as vampires. Many ordinary people had not even believed vampires were real and the revelation that this charming and celebrated man was an undead creature horrified many. Some extremists such as Van Helsing would even seek to destroy Dracula and those like him. But others would stop and take stock following the revelation, forced to reconsider what they thought they knew about vampires. When Dracula survived an assassination attempt by Van Helsing and his confederates, and subsequently showed mercy by publicly forgiving Van Helsing, it only helped turn more people to his side. Dracula began a long campaign for Vampire Emancipation, calling on the world’s remaining vampires, werewolves, elves, dragons and other non-humans to come into the open and arguing for the rights of the citizen to be extended to all sentient beings. In 1891 a small cabal of traitors led by Van Helsing and Sherlock & Mycroft Holmes conspired to facilitate a German invasion of Britain, on the pretext that Dracula and his followers were “corrupting” the nation and that Britain needed saving from itself. The German Empire used this pretext to justify an invasion of Britain and with access to British defense plans provided by the Holmes brothers the Germans successfully landed at Dorking, leading to a decade of brutal fighting and occupation. Thousands of vampires and other supernatural creatures would fight bravely and participate in the eventual liberation of Britain from Gemany in 1902. The sacrifice of so many vampires and fae and Dracula’a personal heroism would begin to swing British public opinion in favour of Emancipation. Dracula’s campaign culminated in the “Midnight March” of 1908 when thousands of vampires, accompanied by hundreds of thousands of human supporters, marched through the night from Highgate Cemetery to Downing Street. The Midnight March galvanised public opinion and later that year H.H Asquith’s government passed the Paranormal Hominid Emancipation Act, which extended most civil rights to vampires and humanoid Fae. Following the passing of the act Dracula would stand in the 1910 general election as MP for Whitby and would succeed in becoming the first non-living person elected to parliament. Dracula would serve commendably as a campaigning backbench MP however Dracula felt unable to support Britain’s entry into the First World War and resigned in 1914. Dracula was horrified by the senseless bloodshed of the First World War and was heart-broken when he learnt that Mina Murray, his greatest student, had killed Count Orlok, his oldest friend, on the battlefields of France. Disillusioned by the tragic loss of life Dracula left his adopted country of Britain after the war. Dracula used the income from his extensive portfolio of London properties to establish the Vlad Tepes Award, the world’s most prestigious peace prize, and again wandered the earth, ultimately returning to the new world and settling in California. 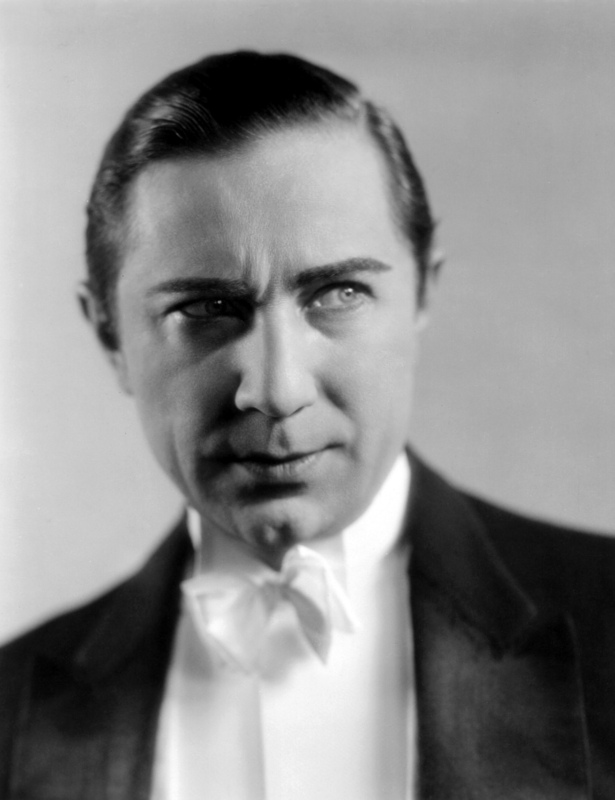 Dracula would eventually become involved in the emerging film industry in California, making films under the pseudonym “Mr De Ville”, the most acclaimed of which was a 1931 biopic about his old friend Frankenstein. Despite Dracula’s hatred of war he fought bravely for the Allies during World War II, and his particular talents made him a powerful weapon in the fight against Nazism, transforming into a flock of bats to carry out night reconnaissance, penetrating German bunkers as a cloud of mist, mesmerising die-hard SS offices into defecting, and clashing with villains such as the demonic “Hellboy” and the Themysciran Diana. After the war Dracula remained in europe, working for the European Comission to rebuild the continent and heading up SPECTRE’s Bureau of Paranormal Threats under the direction of Ernst Stavro Blofeld. Following the founding of the Union of European Nations in 1978 Dracula re-entered politics after an absence of sixty years, becoming UEN Minister for Paranormal Affairs. As UEN Minister for Paranormal Affairs Dracula worked for decades to outlaw discrimination against vampires and promote good relations between European citizens of all species. The presence of a Romanian national hero in the government of the UEN did much to warm relations between Communist Romania and the UEN, leading to Romania’s eventual liberalisation and admittance in 1986. Dracula would serve in the government of the UEN for nearly two decades before resigning in 1997 to pursue a personal matter of significance to all vampirekind. Dracula had learnt that in the United States those vampires who chose to continue to hunt and kill humans had coalesced around a single leader, a former lover of Dracula, the self-styled “Vampire Queen” Buffy Summers. Buffy and her followers rejected the path of peaceful coexistence alongside humans and integration into society that Dracula had forged over the last century. They believed that the path Dracula had led the world’s vampires down had diluted and domesticated vampire nature and they rejected the notion of being bound by human laws, clinging to the old ways of hunting and draining the living. Dracula believed that he could convince Buffy to abandon her violent crusade against humans and spent several years searching for the Vampire Queen and clashing with her followers. In 1999 Dracula finally tracked Buffy down to an abandoned high-school in Sunnydale California and after easily eluding her guards confronted the Vampire Queen. Dracula believed his former lover could still be redeemed and he told her how, like her, he had once been consumed by violence and the desire for vengeance against those he believed had wronged him. He comforted Buffy, telling her that as a vampire it was natural to feel anger at the loss of one’s mortal life and resentment of humans, but that vampirism could be a gift, that he had achieved more as a vampire working for peace than he ever had in his short and violent mortal life. Taking Buffy in his arms he told her it was all going to be okay. And that’s when she thrust a hidden wooden stake into Dracula’s heart. Smiling even as he crumbled into dust, Dracula’s last words were “I forgive you”. Dracula had finally gone to his eternal rest. Buffy was immediately overcome by horror and guilt at the murder of her former friend and the revered father of her kind. Distraught, she walked outside into the sunlight, ending her own unlife. As Dracula’s murderer her name would forever after be reviled by vampirekind as “Buffy the Vampire Slayer”. As a man who spent half a milenia upon the earth Dracula left many legacies. In Brussels and Strasbourg he is remembeted as an elder statesman, in Romania as a national hero, in England as a social campaigner, in the Middle-East as the liberator of the djinn, in the USA as a film-maker, and in France as a hero of the resistance. And amongst vampires across the world Dracula is remembered as “The Father of Vampirekind” who found a way for the living and the dead to coexist in peace and worked tirelessly to bring creatures of the night in from the cold. But perhaps Dracula’s most visible legacy is the Vlad Țepeș Award. The peace prize that bears his name continues to be awarded anually to the person who has done most to build bridges and bring about global peace, with past winners including Ernst Stavro Blofeld, Hans Gruber, Lex Luthor, Ivan Drago and Khan Nonien Singh.